Deputy Governor Viral Acharya and external member Chetan Ghate voted against a rate cut, while Ravindra Dholakia favoured a change in stance to "accommodative"
The six-member monetary policy committee (MPC) of the Reserve Bank of India (RBI) voted 4-2 to reduce the policy repo rate by 25 basis points (bps) on Thursday, as was widely expected by economists and bond-market participants who anticipate at least one more cut in the coming policies. Banks, however, remain non-committal about paring down their lending rates. Deputy Governor Viral Acharya and external member Chetan Ghate voted against a rate cut, while Ravindra Dholakia favoured a change in stance to “accommodative”. According to Credit Suisse, while a rate cut was expected, two MPC members voting against it was negative for the market. The continued neutral stance was also “surprising”, the brokerage said. “With no room for a fiscal stimulus, the MPC’s caution on rate cuts keeps us concerned about growth,” it said. “Whether there is space (for more rate cuts), I am not getting into that. But assuming that there is space, there are upsides and downsides. 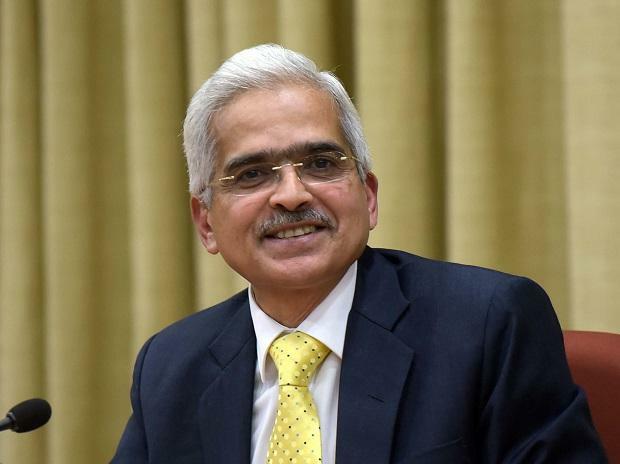 All these things have to be taken into account and based on that a considerate call has to be taken,” RBI Governor Shaktikanta Das said in the post-policy press conference. Das said more important than rate cuts was their transmission by banks. A Business Standard poll of 15 economists and treasurers had last week predicted a 25 bps cut, and most of them expected the MPC to maintain its neutral stance. The central bank kept the policy stance unchanged while the repo rate became 6 per cent from 6.25 per cent earlier. In his opening remarks, the RBI governor said the Supreme Court’s recent verdict did not doubt the powers of the central bank but wanted them to be exercised in a certain manner, which he said would be done to continue its fight against bad loans. Das remained committed to easing liquidity conditions and said the liquidity release through SLR adjustments, past bond purchases, and dollar swaps should encourage banks to lower rates. Having moved to the MCLR regime, where a rise in market rates push up the cost of funds for banks and directly determines calculation for lending rates, it is difficult to transmit policy actions readily, bankers say. After the policy rate announcement, bond yields rose, which would reflect in banks’ MCLR calculation and could make transmission difficult if yields remain high. Industry groups were not happy with banks not passing on the rate benefit. “The RBI governor has himself flagged the issue of marginal transmission of rate cuts by banks. If the RBI cannot enforce the transmission, who can?” said Ravi Sehgal, chairman of EEPC India. Bankers were largely non-committal on the rates issue, but said transmission is possible. “Banks have transmitted the rate reduction to the tune of 10 to 12 basis points. With this additional cut and improvement in the liquidity position, banks would take a call on further transmission,” said Sunil Mehta, MD and CEO of Punjab National Bank and chairman of the Indian Banks’ Association (IBA). Zarin Daruwala, CEO of Standard Chartered Bank, India, said the repo rate cut, along with the recent dollar swaps and overlap of SLR and LCR “will not only aid in monetary transmission but will also increase the flow of credit to the system”. The RBI also delayed linking lending rates to an external benchmark, as banks required more time. The central bank also postponed activating countercyclical capital buffer for banks, which would free up precious capital for them. The first bi-monthly monetary policy of the fiscal 2019-20 was more concerned about growth than inflation. The policy statement indicated that a slowing global economy was casting its shadow on domestic economy as well. Das pointed out that central banks of most global economies and major emerging markets had either eased or paused. Das, who in his first policy in February favoured a cut, voted for a cut this time too. The central bank now expects the GDP to grow at 7.2 per cent in 2019-20, lower than its earlier projection of 7.4 per cent. The governor said recent high frequency indicators pointed to manufacturing growth slowing down, while investment demand remained subdued. But there are other mitigating factors that indicated that business sentiment might have improved. “There are some signs of domestic investment activity weakening as reflected in a slowdown in production and imports of capital goods. The moderation of growth in the global economy might impact India’s exports,” the resolution of the MPC said. The central bank is monitoring the government’s fiscal situation, but it won’t be right to assume there would be a slippage, Das said. The central bank also lowered its inflation forecast, assuming a normal monsoon. The CPI inflation is now expected to be 2.4 per cent in the fourth quarter of 2018-19, 2.9-3.0 per cent in the first half of 2019-20 and 3.5-3.8 per cent in the second half, with risks “broadly balanced”. This is a significant revision down from the February policy, which had expected inflation to be at 2.8 per cent in the fourth quarter and 3.2-3.4 per cent in the first half. The revision was done because actual inflation averaged 2.3 per cent in January-February. However, the central bank did acknowledge the risk of disruptive monsoon due to possible El Niño conditions. Besides, there are several uncertainties clouding the inflation outlook. While prices of key food items are expected to remain favourable due to global demand-supply balance, there is a risk of an abrupt reversal in vegetable prices, especially during the summer months. Fuel prices remain uncertain and can be favourable or exert surprise, the RBI said. “The MPC notes that the output gap remains negative and the domestic economy is facing headwinds, especially on the global front. The need is to strengthen domestic growth impulses by spurring private investment which has remained sluggish,” the resolution said. The 10-year bond yields rose about 8 bps to close at 7.35 per cent, as the central bank allowed 2 percentage points of the statutory liquidity ratio (SLR) to be counted in calculation of the liquidity coverage ratio. This technically means a cut in SLR, albeit in four quarterly instalments till April 2020, which would release about Rs 2.4 trillion of liquidity in the system by reducing demand for bonds. “It is a demand reduction at a time when the market is witnessing heavy supply of bonds,” said Ramkamal Samanta, vice-president treasury, at Star Union Dai-Ichi Life Insurance. The rupee also depreciated sharply, from 68.43 a dollar on Wednesday to 69.16 after the policy, as foreign portfolio investors sold local equities.